A sample pack of each of Organic Birch Waters recipes, a delicately sweet tree-tapped water flowing with nature’s nutrients. 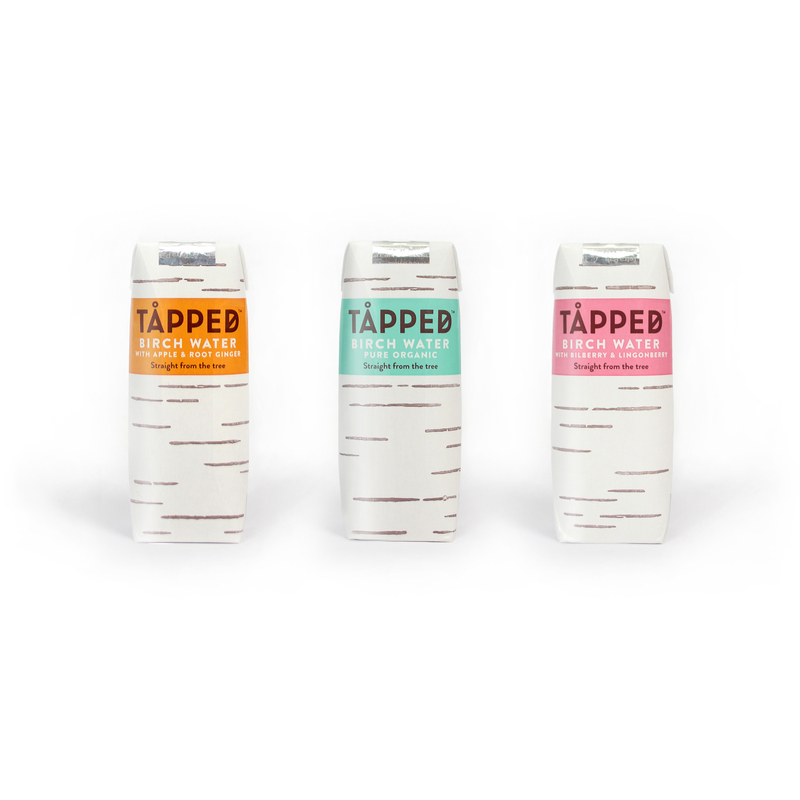 Tapped organic birch waters are made by the forests of Finland, to keep skin youthful, bones strong and a twinkle in your eye. 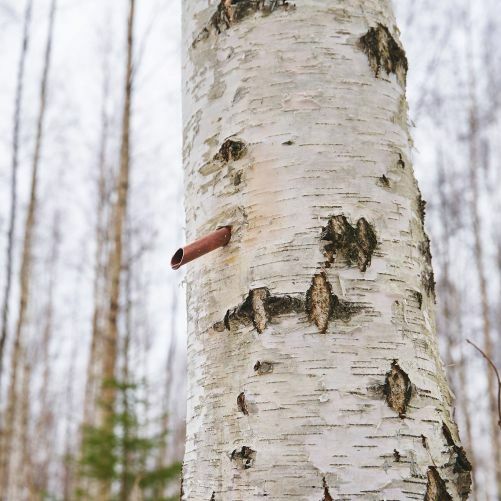 The Finns have long considered a glass of birch water to be nature’s detox. Its secret? The antioxidant manganese which keeps you feeling tip top all day. Natural goodness tapped straight from the tree. 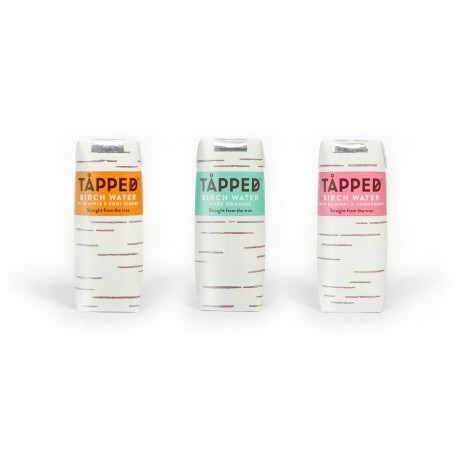 Tapped organic birch water is has no added sugar or sweeteners, is low in calories, and is a natural source of anti-oxidising manganese with a delicate flavour that simply put, tastes good for you. Not made from concentrate juices. Available to buy in quantities of 3 x 250ml cartons. Love the fresh clean taste of Birch water. Love the fresh clean taste of Birch water. I have started drinking it straight after my morning workout. Jammed pack with goodness, keeps me rehydrated and it's got less calories than coconut water too!!! This product is dispatched by Tapped. This item has a shipping weight of 500g. 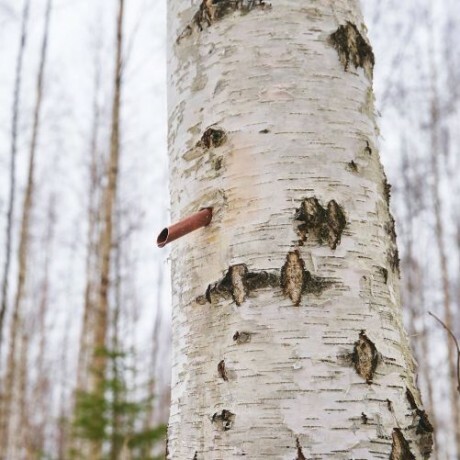 Organic birch water, made by the forests of Finland, to keep skin youthful, bones strong and a twinkle in your eye.